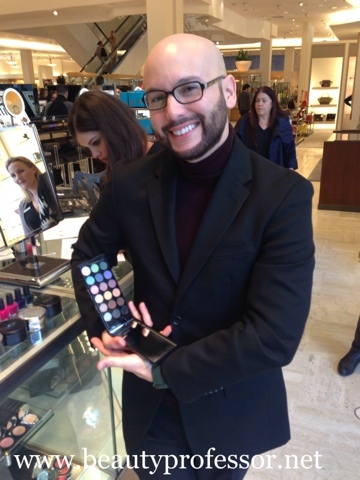 Beauty Professor: Mikey Castillo and the New LMdB Palette at Neiman Marcus...a Quick Peek! Oh my goodness! That palette looks amazing! And I can't believe how well priced it is... it IS lMdB after all! It is definitely something special and an equitable price! Are you planning on getting it? I really like the palette. I do not currently own any LMdB, but will have to keep an eye out for further reviews & swatches. By the way, I purchased the hair dryer you reviewed a little while ago--love it! So powerful. Lovely to hear from you! I wish I'd had a chance to swatch it, but alas, only so much time in the day ; ) I am thrilled to hear that you love the hairdryer as much as I do...thanks so much for the update!! Oh my... 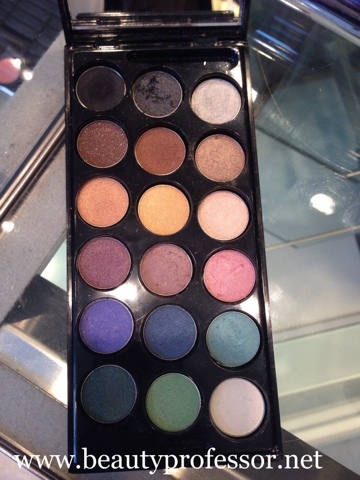 I want that palette! I know...it is really fantastic, no?! This truly does have a fantastic combination of shades...yum yum indeed! Do you know how big the pans are? Anything close to 26mm? They're definitely smaller than the standard LMdB shadows. My pleasure! The pans are indeed smaller than the typical LMdB shadows...I would say that they are somewhere between and nickel and a quarter in approximate size. Obviously my command of the metric system is slightly lacking ; ) I hope that helps! Tee hee! I threw 26mm out there because that's the size of a MAC eyeshadow. I'll be doing a follow up post with all of the shade names and color charts done by Mikey Castillo later on this week!